Ai-Kon » Winterfest is done but the party is not over! 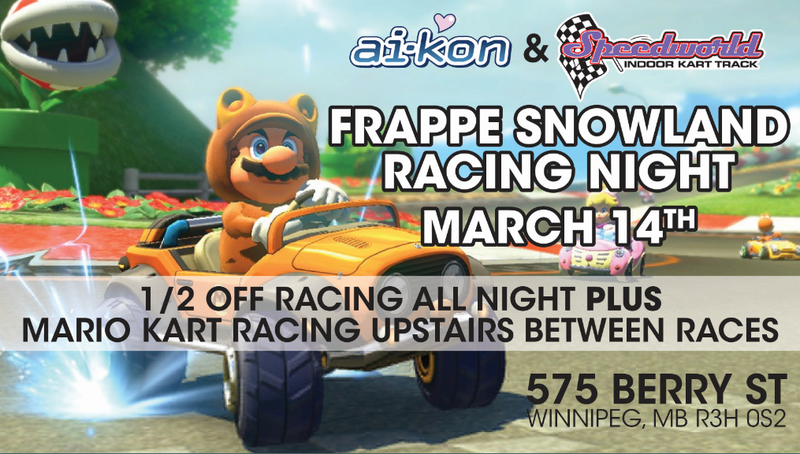 Ai-Kon and Speedworld present Frappe Snowland Racing Night! Grab your friends and head down to SPEEDWORLD at 575 Berry Street in Winnipeg, MB for intense racing action for half the price from 6:00 PM to 11:00 PM!